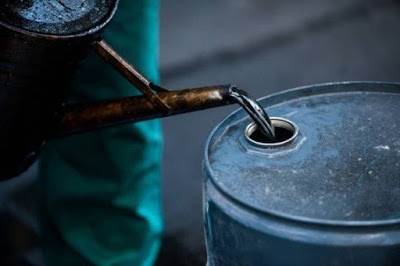 Oil prices fell on Thursday as U.S. crude production neared an unprecedented 12 million barrels per day (bpd) just as worries about weakening demand emerge. U.S. West Texas Intermediate (WTI) crude futures CLc1 were at $51.92 per barrel at 0752 GMT, down 39 cents, or 0.8 per cent, from their last settlement. International Brent crude oil futures LCOc1 were down 37 cents, or 0.6 per cent, at $60.95 per barrel. The EIA also said gasoline stockpiles climbed 7.5 million barrels last week, far exceeding analyst expectations in a Reuter’s poll for a 2.8 million-barrel gain. At 255.6 million barrels, gasoline stocks were at their highest weekly level since February, 2017. “While (U.S. crude) inventories fell slightly more than expected, there was a large build in gasoline inventories. “This stoked fears of weak demand in the U.S.,’’ ANZ Bank said in a note. “Crude oil exports from the U.S. have strongly increased during the last few years and the trend is expected to remain positive,’’ shipping brokerage, Banchero Costa, said in a note. Norbert Ruecker, Head of Commodity Research at Swiss Julius Baer, said “the United States is moving forward towards energy independence and is set to become a petroleum net exporter next year thanks to rising shale output’’. To stem a lurking petroleum glut, the Middle East-dominated Organisation of the Petroleum Exporting Countries (OPEC) and non-OPEC producer Russia are leading efforts to cut supply.